Some of China's economic reforms have moved at an impressive rate, but China has crept only hesitantly toward becoming a state "ruled by law," the ideal proclaimed by the Chinese Constitution. 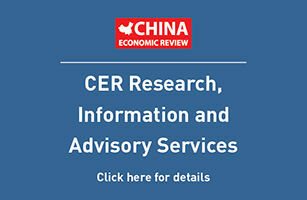 The European Commission recently rejected China's request to be classified as a "market economy," and among the reasons cited in a confidential report obtained by the Financial Times of London were "inconsistencies among laws, weak and inconsistent or arbitrary enforcement and the weak capacity of the judicial system." Institutionalized misallocations of power within the Chinese state are among the root causes of the problems. Since 1979, a veritable explosion of legislation has defined and created many institutions and transactions necessary for the operation and regulation of a privatizing economy. A judicial system was created where virtually none had existed before. During the same period, economic reform was stimulated by the devolution of power from Beijing to lower levels of authority. While economic initiative has benefited, the coherence of the legal system has been threatened. Amidst the vast amount of reform-generated legislation at all levels of authority, some local laws and administrative regulations are often inconsistent with laws issued at higher levels. One example cited recently in the Chinese press is a Shanghai regulation providing for the auction of private car license plates even though the national traffic code requires that licenses be issued to all drivers who submit the required documents. Until recently, little was done to examine lower-level laws and regulations to determine their consistency with higher-level legislation. Lately, the Legislative Affairs Bureau of the State Council has been more active in reviewing local regulations, and the Legislative Affairs Commission of the National People's Congress (NPC) has just created a special committee to review various types of administrative regulations for consistency with national-level laws. Under the Chinese system, unlike nations with strong traditions of judicial review, this power is given to the legislature rather than to the courts. The courts are particularly weak links in the construction of a legal system. Local courts are financed not by the central government but by local governments which choose the judges, pay their salaries, and often influence the outcomes of cases deemed by local officials to involve local interests. Many judges are poorly trained, and corruption in the courts is under constant criticism from officials and populace alike. China's growing environmental problems illustrate the connection between the poor law enforcement cited by the European Commission and local governments. In Elizabeth Economy's recent authoritative study of environmental law and policy in China, The River Runs Black, she notes that although the courts sometimes effectively enforce environmental laws, their dependence on local governments often weakens their powers to punish local enterprises. The influence of what the Chinese call "local protectionism" is most glaring when the Chinese courts are called on to enforce their judgments, whether in disputes that involve only Chinese or in Sino-foreign commercial disputes. The President of the Supreme People's Court, in his annual report to the NPC in March 2004, said "The difficulty of executing civil and commercial judgments has become a major 'chronic ailment,' often leading to chaos in the enforcement process; there are few solutions to the problem." Difficulties arise when foreigners sue in the courts to enforce awards issued by Chinese or foreign arbitration organizations, as they must do if the losing Chinese party refuses to pay the amount awarded to the successful party. A vivid illustration is a case in which I and a Chinese lawyer have represented an American plaintiff, the Zidell Valve Corporation. Zidell was awarded damages by the China International Economic and Trade Arbitration Commission (CIETAC) in two separate cases in 1999 and has been trying to enforce the awards since then. Throughout years of effort Zidell has been frustrated by the actions – and inaction – of the courts in which it brought suit. Zidell purchased flanges from two Chinese sellers, one in Beijing and one in Taiyuan, for a total value of over $8 million, between 1987 and 1992. After American purchasers of Chinese flanges from Zidell began to assert claims for quality defects, extensive inspections disclosed basic problems in a substantial percentage of the many flanges in its inventory. In 1995, after unsuccessful negotiations with the Chinese sellers, Zidell brought separate arbitration proceedings against both. Both arbitrations took place in Beijing, conducted by two three-man tribunals that eventually awarded damages of $300,000 against the Beijing seller and $1.269 million against the Taiyuan seller, in March 1999. In September, 1999 Zidell sued in the Beijing and Taiyuan courts to enforce the awards. Enforcement has been thwarted by long delays and a variety of obstructive tactics countenanced by the courts, which have aided the local defendants to prevent execution of the arbitration awards issued against them. For example, the Taiyuan court attempted to dismiss Zidell's application on the grounds that a non-existent deadline had expired. Both courts entertained the defendants' claim that Zidell had ceased to exist due to a transfer of all of its shares to a new owner while the arbitration was in progress, despite the fact that the claim had already been decided in Zidell's favor in the arbitration proceeding, and raising it again was barred by Chinese law. Both courts also decided that Zidell's Chinese lawyer had not been properly authorized to represent Zidell because Zidell's power of attorney was signed by a corporate officer other than the Chairman of the Board. This was irrelevant under the applicable law of the state in which Zidell was incorporated. The courts took years to reject these specious arguments and then at one point a Taiyuan judge even told Zidell's Chinese lawyer that the file in the case had been lost and that the judge in charge of the case had retired. My Chinese colleague and I complained for several years about these two cases to the Supreme People's Court in Beijing, which, we were told, in an "internal document" ordered the two lower courts involved to enforce both awards. Last summer, pressure from the Supreme People's Court finally compelled the Beijing defendant to agree to pay Zidell the principal of the amount awarded plus a portion of the interest owed. As for Taiyuan, a recent meeting at the court there has confirmed what we had already heard elsewhere: The defendant has been staggering along for years on the verge of insolvency. The Supreme People's Court has just said that it can do nothing more in that case. The Taiyuan Intermediate People's Court has belatedly granted Zidell's application to execute the CIETAC award and requested the defendant to propose a plan for payment, which can only be an empty gesture now. It might not have been if the court had not stalled for more than four years. In a strange quirk in this sad history, in May when CIETAC was host to a large international conference in Shanghai on international commercial arbitration, an insert appeared on May 18th in the China Daily containing a one-page account of the Shanxi case, presumably to present CIETAC in a favorable light. It reported correctly that the arbitral tribunal had decided in favor of Zidell but ended with the false statement that Zidell was "paid nearly $2 million." CIETAC has not replied to several messages asking about the source of this report. This case demonstrates the impact of local protectionism. The case also suggests the difficulty that China has in complying with the obligations that it agreed to assume in the Protocol on China's accession to the WTO, to enforce trade-related laws in a "uniform, impartial and reasonable" manner. Beijing has been working to strengthen legal institutions. Review of proposed laws and regulations for consistency with existing law is becoming more systematic, and experiments are under way in using hearings to provide greater transparency when legislation is being considered and administrative rules are being adopted. Court reform remains critical and is much discussed, but the central government lacks the financial resources to fund the judicial system nation-wide, and faces local resistance to basic structural reforms that would diminish local power. Furthermore, established ideology and the Chinese Constitution deny the judiciary power over the administrative apparatus of the state not to mention the Party. In the foreseeable future the weakness of the judicial system will contribute considerable uncertainty to an already uncertain business environment. Chinese legality will remain weak, and so will the Chinese state as well.